News: Pastrnak notched two assists, one on the power play, in Sunday's 4-2 win over the Maple Leafs in game 6 of their first-round series. Impact: The 22-year-old has found the scoresheet in three straight games and four of six against the Leafs, racking up two goals and six points. Pastrnak also fired five shots on net in this one, giving him 26 in the series, and the Bruins might need him to get at least one more of them past Frederik Andersen in Game 7 on Tuesday to advance to the second round. News: Marchand scored two goals, one on the power play, and added a power-play assist in Sunday's 4-2 win over the Maple Leafs in Game 6 of their first-round series. Impact: The 30-year-old willed the Bruins to a Game 7, taking over the game after the club fell behind 1-0 midway through the first period. Marchand now has four goals and nine points in the series, with five of those points (one goal, four helpers) coming with the man advantage. Boston will need him to come up big again Tuesday on home ice if it's going to advance to the second round. News: Rask turned aside 22 of 24 shots in Sunday's 4-2 win over the Maple Leads in Game 6 of their first-round series. Impact: Toronto took a 1-0 lead midway through the first period, but Rask tightened the screws and didn't get beaten again until the third, after Brad Marchand and Boston's skaters had taken control of the game. The netminder will take a 2.54 GAA and .921 save percentage into the deciding Game 7 on home ice Tuesday. News: Clifton (undisclosed) will not play in Game 6 against Toronto on Sunday. Impact: Clifton hasn't played since Game 2, recording just one shot on goal in two games this series. Boston has its back against the wall down 3-2 in the series, so the 23-year-old's rookie campaign may be coming to an end. News: Rask will start between the pipes in Sunday's Game 6 road matchup with Toronto. Impact: In the first round so far, Rask has given up 13 goals while posting a 2.65 GAA and .922 save percentage. The Finn was able to hold off the Maple Leafs for two periods in Game 5, but eventually gave up two goals in 132 seconds midway through the third. Rask and the Bruins will also look to force a Game 7 as they find themselves down 3-2 in the series. News: Nordstrom will have a bottom-six role in Sunday's Game 6 matchup with the Maple Leafs. Impact: Nordstrom and Karson Kuhlman will provide Boston with some depth in the absence of David Backes (healthy scratch) and Chris Wagner (undisclosed). The two wingers also provide the Bruins with some speed in the bottom-six rotation. Nordstrom logged an empty-net goal in Wednesday's Game 4 win over Toronto. News: Kuhlman will slot into the lineup in Sunday's Game 6 matchup with Toronto. Impact: Kuhlman and Joakim Nordstrom will both replace David Backes (healthy scratch) and Chris Wagner (undisclosed), providing Boston with some speed in the bottom-six rotation. In 11 games with the Bruins this season, Kuhlman posted five points and averaged 12:09 of ice time. News: Wagner (undisclosed) will not suit up for Sunday's Game 6 matchup with Toronto. Impact: The exact reasoning behind Wagner's absence isn't known. It's possible that the Massachusetts native is once again dealing with the lower-body injury that plagued him earlier in April. Coach Bruce Cassidy claims he wants to get "fresh legs" on the ice. Regardless, Karson Kuhlman and Joakim Nordstrom will both draw into the lineup to replace Wagner and David Backes. News: Rask stopped 25 of 27 shots in Friday's 2-1 loss to the Maple Leafs in Game 5 of their first-round series. Impact: He held the Leafs off the scoreboard for two periods, but Frederik Andersen did the same at the other end of the ice, and Rask was the netminder to finally blink when he allowed two goals in 132 seconds midway through the third. The Bruins' all-time leader in wins will look to avoid elimination and force a Game 7 when the series shifts back to Toronto on Sunday. News: Krejci brushed twine on a one-timer in the waning moments of Game 5 on Friday, but the Bruins still lost to the Maple Leafs, 2-1. Impact: With 43 seconds left in the contest and the Boston net unoccupied, David Pastrnak threaded a perfect cross-ice pass to Krejci to prevent the B's from getting shut out. It was the 90th career playoff point for the Czech center, who has been involved in a whopping 10 Stanley Cup playoff runs with the Bruins -- including 2011 when he was able to lift Lord Stanley's Chalice in triumph. News: Rask will tend the twine for Friday's Game 5 home clash with the Maple Leafs, NHL.com reports. Impact: Rask gave up four goals on 42 shots in Game 4 (.905 save percentage), but was still able to walk away with the win and even up the series. Through the first four games, the Finnish netminder has faced 139 shots (34.75 average) as Toronto has tested him early and often. The 31-year-old should be prepared for another barrage of rubber Friday. News: Kuraly (hand) is expected to play in Friday's playoff game against the Maple Leafs. Impact: The Bruins' fourth line could use a spark and Kuraly has the size, speed and puck pursuit ability to provide just that. Assuming Kuraly is a go in Friday's Game 5, Joakim Nordstrom is in line to be the team's healthy scratch. Kuraly is coming off a 2018-19 campaign in which the 26-year-old notched eight goals and 21 points in 71 games, en route to recording a plus-6 rating. News: The Bruins shifted Zboril to AHL Providence on Thursday, per TSN transactions. Impact: Zboril was brought to the big club to provide some depth along the blue line with Torey Krug (undisclosed), Chad Clifton (undisclosed) and Kevan Miller (lower body) all injured. Krug was back in action for Game 3 on Monday and played in Game 4 on Wednesday as well, so the Bruins appear comfortable sending Zboril back to Providence so he can help the AHL squad with its own playoff run. News: The Bruins sent Carey back to AHL Providence on Thursday, TSN Transactions reports. Impact: Carey drew into just two contests during his time with the Bruins, but he was hanging around with the big club as a depth option during the series. With AHL Providence headed to the playoffs, he will instead head to the minors to help the other Bruins with their run. He could rejoin the top club as soon as Providence is eliminated. News: Kuraly (hand) will be a game-time decision for Game 5 versus the Maple Leafs on Friday. Impact: Coach Bruce Cassidy told reporters, "If he's healthy, he'll go in," so there shouldn't be any concern about Kuraly serving as a healthy scratch once given the all-clear. The center missed the last 12 games due to his hand problem and figures to bump either Chris Wagner or Joakim Nordstrom from the lineup whenever he returns. News: Bergeron collected an assist during Wednesday's 6-4 victory over the Maple Leafs in Game 4. Impact: Bergeron saw only 14:37 in ice time during the contest but still managed his way onto the scoresheet with an assist on David Pastrnak's first goal of the game. He also recorded three shots on goal to go with a block, and went 16-for-22 in the faceoff dot. News: Chara slapped home the game-winning goal in Wednesday's 6-4 win over the Maple Leafs in Game 4. Impact: Chara has a lot of experience scoring points against Toronto in the playoffs. Over the 18 postseason games he has played against the Maple Leafs as a member of the Bruins, Chara has scored 12 points -- his highest point-per-game rate against any team in the playoffs since he came to Boston. News: Grzelcyk managed to pick up a point in Wednesday's 6-4 win over the Maple Leafs in Game 4. Impact: The assist came on the power play, giving Grzelcyk power-play assists in each of his last three games. Despite the point, Game 4 was a tough one for Grzelcyk, who was attacked all night by the Maple Leafs' third line. The sophomore defender was on the ice for 30 shot attempts against and only five shot attempts for. News: Heinen was bumped to the first line prior to the start of Wednesday's 6-4 win over the Maple Leafs in Game 4. Impact: Head coach Bruce Cassidy made the move after David Pastrnak had failed to score a goal during the first three games of the series. The move worked out well for both involved as Pastrnak scored two goals and Heinen picked up an assist on Brad Marchand's goal in the first period. Heinen did well in his spot on the first line, but with Game 5 moving back to Boston -- where Cassidy has last change -- we may see Pastrnak back on the first line. News: Nordstrom scored the empty-net goal in a 6-4 win over the Maple Leafs in Game 4 on Wednesday. Impact: The goal came with only two seconds left in the game and gave Nordstrom his first career playoff point in his 14th playoff game. The Swede ended his night with an even rating despite Toronto's fourth line outshooting Nordstrom and the B's fourth line. Nordstrom alone was on the ice for 19 shot attempts against with only six shot attempts for. Even though the Bruins came away with a win, head coach Bruce Cassidy may look to shake up his bottom six. News: McAvoy scored a power-play goal and added an assist at even strength during Wednesday's 6-4 win over the Maple Leafs in Game 4 of their first-round series. Impact: He opened the scoring early in the first period, then helped set up Brad Marchand less than four minutes later to stake the Bruins to a quick 2-0 lead. McAvoy had gone scoreless through the first three games of the series, but with the blueliner now off the schneid he could be a factor again Friday back on home ice for Game 5. News: Pastrnak scored two goals, one on the power play, during Wednesday's 6-4 win over the Maple Leafs in Game 4 of their first-round series. Impact: After managing only one assist in the first three games despite firing 10 shots on net, Pastrnak finally got a puck past Frederik Andersen early in the second period Wednesday, then did it again 95 seconds later to give the Bruins a lead they wouldn't relinquish. He'll look to stay hot when the series shifts back to Boston on Friday for Game 5. News: Marchand scored a goal and added two assists, one on the power play, in Wednesday's 6-4 win over the Maple Leafs in Game 4. Impact: After posting a goose egg in Game 3, Marchand stepped up and super-charged the Bruins' attack. The 30-year-old now has two goals and six points to lead Boston in scoring through four games, and he figures to be in the thick of the action again back on home ice Friday. News: Rask stopped 38 of 42 shots in Wednesday's 6-4 win over the Maple Leafs in Game 4 of their first-round series. Impact: The 32-year-old netminder withstood his biggest barrage of the series so far, helping the Bruins to knot things up at 2-2. Rask will take a 2.78 GAA and .921 save percentage back with him to Boston for Game 5 on Friday. News: Johansson (illness) will return to the lineup for Wednesday's Game 4 against the Maple Leafs, Matt Porter of The Boston Globe reports. Impact: Johansson missed Games 2 and 3 due to an illness, but he's evidently feeling well enough to tough it out for what could be a series-defining contest. The 28-year-old Swede will return to a top-six role Wednesday, skating with Jake DeBrusk and David Krejci on the Bruins' second line. News: Rask will guard the cage in Wednesday's Game 4 against the Maple Leafs in Toronto, Joe Haggerty of NBC Sports Boston reports. Impact: Rask was solid in Monday's Game 3, turning aside 31 of 34 shots, but he ultimately suffered his second loss of the opening round due to insufficient goal support from his comrades. The Finnish netminder will look to stay dialed in and help his team even the series at two games apiece by stealing a pivotal Game 4 on the road Wednesday. News: Clifton (undisclosed) participated in practice Wednesday in a non-contact jersey and is not ready to return for Game 4, Marisa Ingemi of The Boston Herald reports. Impact: Clifton's progress is an encouraging sign, but he'll need to shed the no-contact jersey before being considered to rejoin the lineup. Even when healthy, the blueliner owns just one assist and no goals through 19 contests, presenting little upside from a fantasy standpoint. News: Coach Bruce Cassidy noted that Johansson (illness) is "trending well" in advance of Wednesday's playoff game against the Maple Leafs. Impact: Assuming the winger feels good enough as warmups approach, look for him to rejoin the Bruins' forward mix for Game 4 of the team's first-round series. In such a scenario, Karson Kuhlman would likely be scratched from Boston's lineup, while Johansson would probably open the contest on a line with Jake DeBrusk and David Krejci. News: Moore (upper body) will be back in the lineup for Wednesday's road game against the Maple Leafs for Game 4, Joe Haggerty of NBC Sports Boston reports. Impact: Moore reportedly will replace Steve Kampfer with the Bruins down 2-1 in the series. It'll be interesting to see how effective Moore is after he missed the final six games of the regular season and the first three of the playoffs. News: Kuraly (fractured hand) won't play Wednesday night against the Maple Leafs, Joe Haggerty of NBC Sports Boston reports. Impact: Kuraly thus remains in the day-to-day category in advance of Friday's Game 5 on home ice. Upon his eventual return, look for Kuraly to work on the Bruins' fourth line. News: Moore (upper body) "looks like he's in" for Wednesday's playoff game against the Maple Leafs, Joe Haggerty of NBC Sports Boston reports. Impact: With Connor Clifton (upper body) and Kevan Miller (lower body) still hurting, the fleet-footed Moore would be a welcome addition to the Bruins' blue line corps against a speedy Toronto squad. If he suits up Wednesday, Steven Kampfer would be the odd man out. News: Johansson (illness) profiles as a game-time decision for Wednesday's playoff game against the Maple Leafs. Impact: More should be known about his status following the team's Wednesday morning skate, but if Johansson does suit up for Game 4 of the B's opening-round series, he'd be in line to work on a line with Charlie Coyle and Danton Heinen, with David Backes a candidate to be scratched. News: Vladar was on the ice with the Bruins at practice Tuesday after being promoted from AHL Providence. Impact: Vladar won't be getting into a game any time soon, but will provide an extra puck stopper for practice and would be an emergency option in case somebody gets hurt. Tuukka Rask figures to continue carrying the load for the Bruins, while Jaroslav Halak mans the bench. News: Carey was an extra at practice Tuesday after being called up from AHL Providence. Impact: Considering David Backes is having a hard time staying in the lineup, Carey is unlikely to get a look during the postseason. The winger figures to continue practicing with the team and will serve as an emergency depth option in case a handful of guys get hurt. Once Sean Kuraly (hand) is given the all-clear, Carey could find himself back with AHL Providence for the Calder Cup Playoffs. News: The Bruins have placed Gabrielle on unconditional waivers, Renaud Lavoie of TVA Sports reports. Impact: Gabrielle, who was a fourth-round draft pick in 2015, didn't gain much momentum as a pro, spending last season at the ECHL level. Pegged as an agitator in the mold of Brad Marchand when taken by Boston, Gabrielle will now look to move up the ranks in another organization. News: Rask stopped 31 of 34 shots in Monday's 3-2 loss at the hands of Toronto in Game 3 of the best-of-seven series. Impact: Two of the three goals came on Toronto power plays, and if the Bruins are going to win this series, they must limit their penalties -- The Maple Leafs converted 21.8 percent of power plays in 2018-19, good for eighth in the league. The loss moves Rask to 1-2 in the playoffs, and the Boston goaltender has a 2.37 GAA to go along with a .928 save percentage. News: DeBrusk finished Monday's 3-2 loss to Toronto with an assist. Impact: DeBrusk was playing only two days removed from receiving a crosscheck to the head, courtesy of Nazim Kadri -- Kadri has since been suspended for the remainder of the first round as a result of the incident. Considering DeBrusk finished with 17:58 of ice time, it's safe to assume he is feeling no ill effects from the incident. News: Coyle scored a power-play goal but it wasn't enough, as Toronto defeated Boston 3-2 in Game 3 of the best-of-seven series Monday. Impact: Coyle capped off a five-goal second period with his second in as many games, cutting the deficit to one with 38 seconds left in the second period. Unfortunately for the visitors, that's as close as they would get, with neither team able to score over the final 20 minutes. Coyle will now look to make it three straight games with a goal when the teams reconvene for Game 4 on Wednesday. News: Krejci scored his first goal of the playoffs in Monday's 3-2 loss to the Maple Leafs. Impact: The veteran finished with four shots on goal, converting on one of those attempts. Krejci will now look to build off this performance, as Boston will need a big performance from the 32-year-old in Game 4 if its to avoid being pushed to the brink of elimination. News: Kuraly (fractured hand) won't play Monday night against the Maple Leafs. Impact: Kuraly has been skating on his own of late and will thus remain in the day-to-day category for now. The energy forward, who last suited up March 21, finished the 2018-19 regular season with eight goals and 21 points in 71 contests. News: Moore (upper body) sported a regular practice jersey at Monday's morning skate. Impact: The smooth-skating blueliner, who hasn't played since March 25, is thus in the day-to-day category as Wednesday night's Game 4 against Toronto approaches. His return would certainly be a welcome one, with Connor Clifton now dealing with an upper-body injury and Kevan Miller still out with a lower-body issue. News: Rask will start Monday's playoff game against the Maple Leafs. Impact: Rask, who is coming off a 30-save effort in Saturday's 4-1 win over Toronto -- which tied the Bruins' opening-round series at 1-1 -- will look to stay sharp in Game 3 on the road. He'll continue to man the team's net for the foreseeable future, with the capable Jaroslav Halak on hand in the event that Rask suffers an injury or struggles at any point during the playoffs. News: Clifton (upper body) won't play in Monday's playoff game against the Maple Leafs. Impact: With Clifton considered day-to-day by the Bruins, Steven Kampfer will rejoin the team's lineup Monday and is slated to work on a defensive pairing with Matt Grzelcyk. News: Johansson (illness) won't play in Monday's playoff game against the Maple Leafs. Impact: Johansson, who also missed Saturday's Game 2, will thus target a return to action Wednesday night. In his absence Monday, the Bruins' third line will feature Charlie Coyle, Danton Heinen and David Backes. News: DeBrusk (undisclosed) will play in Monday night's road game against the Maple Leafs. Impact: DeBrusk took a cross-check to the face from Toronto's Nazem Kadri on Saturday, but the winger will be a go in Monday's Game 3, which sets the stage for him to man the left wing of the Bruins' second line as well as see top-unit power-play duty. News: Krug (undisclosed) will play in Monday night's road game against the Maple Leafs. Impact: Krug was forced out of Saturday's Game 2 win over Toronto after absorbing a hard check from Jake Muzzin that left him wobbly and dazed. Fortunately, the mobile blueliner recovered in short order and will be able to handle his usual duties Monday, which include quarterbacking the Bruins' power play. News: DeBrusk (undisclosed) participated in Monday's morning skate. Impact: DeBrusk, who exited Saturday's game against the Maple Leafs after being cross-checked in the head by Nazem Kadri, is now evidently on track to play in Monday night's Game 3, on a line with David Krejci and Karson Kuhlman. News: Krug (undisclosed) was paired with Brandon Carlo during Monday's morning skate. Impact: Krug, who didn't return to Saturday's game against Toronto after leaving in the second period, thus appears in line to play Monday night, a probable outcome that should soon be confirmed, either way, by coach Bruce Cassidy. News: Zboril was promoted from AHL Providence on Sunday, Matt Porter of The Boston Globe reports. Impact: With Torey Krug (undisclosed), Connor Clifton (undisclosed) and Kevan Miller (lower body) all dealing with injury, the team elected to provide insurance to the blue line. News: Clifton exited Saturday's win over the Maple Leafs with an undisclosed injury, James Mirtle of The Athletic reports. Impact: Coach Bruce Cassidy didn't have an update on Clifton's condition after the game. Torey Krug (undisclosed) also left the contest with an injury, so Cassidy signaled he may need to dip into the minor-league ranks for reinforcements since the Bruins only have five healthy defensemen at the moment. News: Bergeron scored a power-play goal Saturday in a 4-1 victory over the Maple Leafs in Game 2. Impact: Bergeron is coming off his best NHL season ever and his handiwork Saturday helped seal the victory, knotting the series at 1-1. He's a fantasy stud and will be a significant contributor to your postseason success as long as Boston stays in the hunt. News: DeBrusk underwent tests after being cross-checked in the head by Nazem Kadri in Saturday's game versus the Maple Leafs, Conor Ryan of MassLive.com reports. Impact: DeBrusk dished out a knee-to-knee hit on Kadri earlier in the game before issuing a hard check on Patrick Marleau in the third period. Kadri took exception and targeted DeBrusk with a cross-check to the head. Kadri was ejected from the game and will likely face a hefty suspension for his actions. We'll have an update on DeBrusk's condition as information becomes available. News: Krug (undisclosed) did not return to Saturday's Game 2 after leaving in the second period following a hard hit by Toronto's Jake Muzzin. Impact: Krug had tried to stand, but he looked more like Bambi on ice than an NHL defender. He had only played in five games at the end of the season following his last concussion. Krug is a valuable part of the Boston blue line; his loss will be significant. Hopefully there is an update on his health Sunday. News: Rask made 30 saves Saturday in a 4-1 win over the Maple Leafs in Game 2 of their opening-round series. Impact: Rask was sharp -- his .968 save percentage Saturday is much better than a recent middling run. The Bruins played a better team game Saturday and that benefited Rask. The team heads to Toronto with the series knotted 1-1. News: Marchand scored a goal and added an assist in Saturday's 4-1, Game 2 win over Toronto. Impact: His goal stood up as the winner. Marchand has three points (one goal, two assists) in two games against Toronto. That number will surely go up if he can continue to assert himself like he has so far this series. Marchand is a difference maker. News: Krug left Saturday's game against Toronto in the second period after a hard check from Jake Muzzin left him wobbly and dazed. Impact: Krug already missed time this season to concussion. He will undergo mandatory assessment. News: Johansson (illness) was absent from warmups and won't play in Game 2 versus the Maple Leafs on Saturday, Fluto Shinzawa of The Athletic reports. Impact: Johansson was nursing an undisclosed injury ahead of Game 1 but he was able to tough it out. The 28-year-old winger now is dealing with a sickness. Look for Johansson to try to rest up and get healthy before Game 3 in Toronto on Monday. News: DeBrusk (undisclosed) will play in Game 2 versus the Maple Leafs on Saturday, Fluto Shinzawa of The Athletic reports. Impact: DeBrusk sat out of Friday's practice for maintenance, but it's all systems go for the 22-year-old winger. He went pointless in Game 1, but he should slot into the top six since Marcus Johansson (undisclosed) is sitting out. News: Miller (lower body) isn't in the projected lineup for Saturday's Game 2 against the Maple Leafs, NHL.com's Amalie Benjamin reports. Impact: Miller will miss a third straight contest Saturday, and he remains without a clearly defined timetable for his return to action. Connor Clifton will continue to fill in on the Bruins' bottom pairing until Miller is cleared to play. News: Kuraly (hand) isn't in the projected lineup for Saturday's Game 2 against Toronto, NHL.com's Amalie Benjamin reports. Impact: Kuraly is still considered day-to-day with his injured hand, so he'll have to wait for Monday's Game 3 for his next opportunity to rejoin the lineup. Once he's given the green light, the 26-year-old American will likely slot into a bottom-six role for the Bruins. News: After being scratched in Game 1, Backes will play Saturday against Toronto. Impact: Bruins head coach Bruce Cassidy will insert Backes into the lineup, hoping the veteran's presence provides a jolt to his club, as a loss in Game 2 would put Boston behind the eight ball. No word yet on where he'll skate in Boston's lineup, but Backes will likely occupy a bottom-six role. In 67 career playoff games, the 34-year-old has scored 15 goals to go along with 19 assists. News: DeBrusk (undisclosed) will be a game-time decision for Saturday's Game 2 against the Maple Leafs. Impact: For what it's worth, coach Bruce Cassidy expects DeBrusk to play Saturday, but it's a situation worth monitoring for fantasy owners that are considering deploying the 22-year-old winger in daily contests. News: Rask will be in goal when the Bruins look to even the best-of-seven series against Toronto on Saturday, Matt Porter of The Boston Globe reports. Impact: Over his last five starts, Rask owns a 1-4-0 record to go along with a 3.65 GAA and .869 save percentage. Not great. Despite the alarmingly mediocre numbers, Rask has a chance to bounce back Saturday, but if Game 2 ends the same way Game 1 did, a goalie change could be in order for Boston. News: Moore (upper body) skated in a non-contact jersey Saturday morning, Matt Porter of The Boston Globe reports. Impact: Moore's presence on the ice Saturday is obviously a step in the right direction in terms of his recovery, but he'll need to be cleared for contact before rejoining the lineup. Another update on his status should surface once that occurs. Impact: Backes was a healthy scratch for Game 1 on Thursday -- the first time in his career he has been a healthy scratch in a postseason game -- but it looks like head coach Bruce Cassidy is contemplating a return to the lineup for the veteran. Backes has 34 points in 67 career playoff games, including three in 12 games last season. News: Coyle threw a game-high seven hits during Thursday's 4-1 loss in Game 1 to the Maple Leafs. Impact: That ties a career high for Coyle as well -- he had seven hits during a 2015 playoff game against the Blackhawks, when he was a member of the Wild. Unfortunately for the B's, Coyle's physical play couldn't turn the game around as they dropped Game 1 of the series. News: Clifton made his playoff debut in Thursday's Game 1 against the Maple Leafs, a 4-1 loss. Impact: After only 19 regular-season appearances for the rookie, Clifton made the starting lineup for Game 1 over Steven Kampfer. With both Kevan Miller (lower body) and John Moore (upper body) on the shelf, Clifton was the go-to man, skating 11:25 and ending a minus-1. Once Moore is ready to go, expect Clifton to sit. 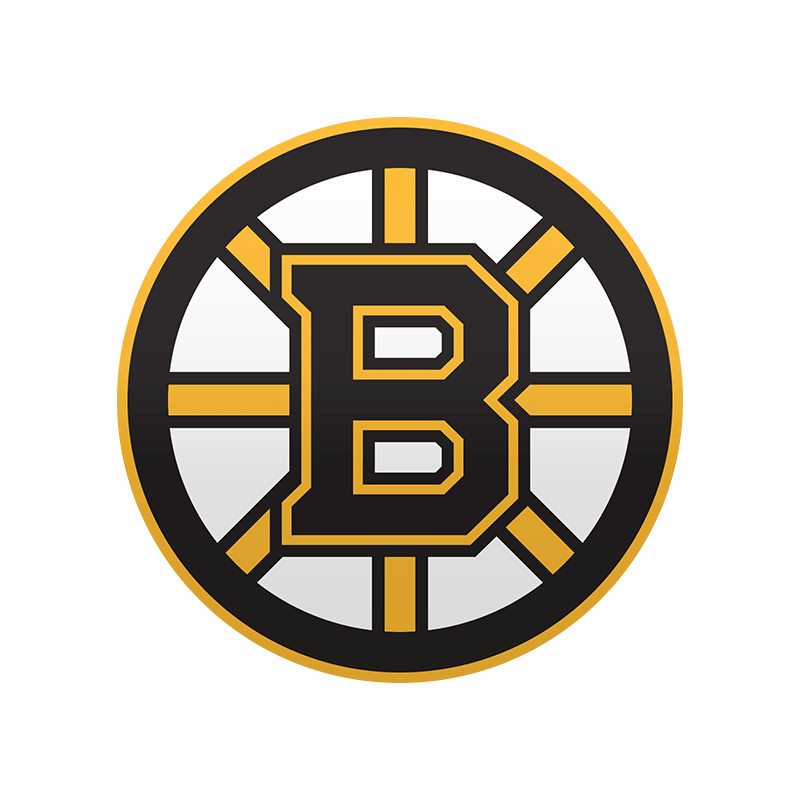 News: DeBrusk's (undisclosed) availability for Saturday's Game 2 matchup with Toronto is up in the air, Joe Haggerty of NBC Sports Boston reports. Impact: DeBrusk took Friday's practice off for "maintenance." It seems the team expects him to play Saturday, but there is still the chance that he will miss the contest. More information on the Alberta native's status should become available closer to Saturday's puck drop. News: Krug tallied an assist on Thursday, as the Bruins lost 4-1 in Game 1 to the Maple Leafs. Impact: Krug's helper was on the man advantage 9:31 into the first period -- the only goal his team could muster on 38 shots. The Bruins' power play showed its two-faced nature in Game 1, as they converted on the first opportunity before letting in a shorthanded goal on their second. During the regular season, the B's were third in the league in power-play goals for (65) but tied for first in shorthanded goals allowed (15). News: Rask allowed three goals on 32 shots in Thursday's 4-1 loss to the Maple Leafs. Impact: Rask was caught out of position on Mitch Marner's first goal after failing to track a point shot. Marner then executed a highlight-reel deke on a penalty shot to begin the second period, beating Rask to give Toronto a 2-1 lead. The visitors would add two more before the final buzzer. Even though part of the problem Thursday was his team not providing adequate help, Rask himself needs to be careful not to let his play slip too much, as Jaroslav Halak is more than capable of leading the Bruins on a playoff run if the Finn continues to struggle. News: Marchand picked up a power-play helper Thursday, but Boston fell 4-1 to Toronto in Game 1 of the best-of-seven series. Impact: Marchand may have found the scoresheet in this one, but neither he nor any of his teammates will be pleased with Thursday's result. They will now set their sights on leveling the series Saturday, in a game that most will say is a must-win for the hosts. News: Bergeron scored his team's lone goal Thursday, as Boston lost 4-1 to the Maple Leafs in Game 1 of the best-of-seven series. Impact: Bergeron opened the scoring with a power-play marker, but the Maple Leafs would score the game's next four goals, handing Boston a disheartening Game 1 defeat in the process. Led by Bergeron, the Bruins will now hope they can even the series Saturday before heading to Toronto for Games 3 and 4. News: Rask will get the starting nod for Game 1 at home versus Toronto on Thursday, Joe Haggerty of NBC Sports Boston reports. Impact: Rask comes into the postseason struggling a bit, as he went 2-3-0 with a 3.23 GAA in his last five outings. The netminder got some extra rest down the stretch by splitting time with Jaroslav Halak, but it should be all "Tuukka Time" from here on out. The 32-year-old Rask is 35-30 with a .924 save percentage in 65 career postseason contests. News: Wagner (lower body) will return to the lineup for Thursday's Game 1 against Toronto, NHL.com's Eric Russo reports. Impact: Wagner missed the final two games of the regular season due to a lower-body injury, but he was always expected to be ready for Game 1 of Boston's first-round series. The 27-year-old American is expected to slot into a bottom-six role Thursday, skating with Noel Acciari and Joakim Nordstrom on the Bruins' fourth line. News: Kuhlman, who made the playoff roster, skated with David Krejci and Jake DeBrusk in Monday's practice, Marisa Ingemi of the Boston Herald reports. Impact: Kuhlman made quite the impression over 11 regular season games, as the rookie produced three goals and two assists to complement a plus-5 rating. The Minnesota native also boasted a gaudy shooting percentage (20.0) over 12:09 of average ice time, and he very well could be an X-factor in the playoffs. News: Carlo suited up in Monday's practice after resting for the final game of the regular season. Impact: Carlo -- who was held out of the regular-season finale -- was back at it Monday alongside Torey Krug on the second pairing. His readiness for the postseason likely won't have a big impact from a fantasy perspective, however, as the 22-year-old produced just 10 points in 72 games in 2018-19. News: Marchand (rest) suited up in Monday's practice. Impact: Marchand was rested for Saturday's game against the Lightning and is expected to play in Game 1 against the Maple Leafs. The Canadian was able to hit the 100-point plateau for the first time in his career, averaging 19:37 of ice time in 79 games this year. News: Bergeron (rest) rejoined the team for Monday's practice session and should be ready for Game 1 versus Toronto on Thursday. Impact: After sitting out the regular-season finale against Tampa Bay on Saturday, Bergeron was back at practice and gearing up for the postseason. The elite center put together a second straight 30-goal campaign and set a new career high with 79 points. With 86 points in 112 postseason contests, the 33-year-old should continue to provide top-end fantasy production as long as the Bruins are in the playoffs. News: General Manager Don Sweeney said Monday that Miller (lower body) won't be ready for the start of the playoffs, Joe McDonald of The Athletic reports. Impact: Miller missed 17 of the final 20 regular-season games due to the injury, and all signs point to a more extended absence. Boston will miss the toughness that the 30-year-old provides, as he racked up 73 hits and 79 blocks in just 39 games this campaign. News: Vaakanainen (upper body) failed to record a shot on net versus AHL Utica on Sunday. Impact: Vaakanainen's recovery from his upper-body issue could open the door for him to be called up during the Bruins' postseason run. In the blueliner's two NHL appearances, he registered two shots and a minus-1 rating while averaging 9:06 of ice time. If he does get promoted, the Finn likely won't crack the lineup unless there are a couple of injuries. News: The Bruins reassigned Blidh to AHL Providence on Sunday, Mark Divver of The Providence Journal reports. Impact: Blidh was recalled in order to give guys like Brad Marchand and Patrice Bergeron rest in the season finale. He played well, dishing out six hits and blocking a shot during 13:46 TOI. Blidh will head back to minors, and he's not likely to be recalled unless there are injuries. News: The Bruins reassigned Lauzon to AHL Providence on Sunday, Mark Divver of The Providence Journal reports. Impact: Lauzon was recalled for the season finale to provide rest to blueliners who needed it. He may be recalled before Thursday's game versus the Maple Leafs if Kevan Miller is still dealing with a lower-body injury. News: The Bruins assigned Senyshyn to AHL Providence on Sunday, Mark Divver of The Providence Journal reports. Impact: Senyshyn played in two games during this stint with the big club, and he scored in his NHL debut. The 2015 first-round pick will head back to the minors and look to make the AHL playoffs, although he may be recalled for depth on the Bruins' playoff run. News: The Bruins reassigned Frederic to AHL Providence on Sunday, Mark Divver of The Providence Journal reports. Impact: Frederic was recalled for depth so the Bruins could rest their top dogs. He drew into two games, recording 10 PIM and dishing out two hits. For the time being, he'll look to help AHL Providence make a playoff run, but Frederic may get recalled again when the Bruins' playoff run starts Thursday versus the Maple Leafs. News: Rask made 16 saves Saturday in a 6-3 loss to Tampa Bay. He allowed five goals. Impact: So, that was a tough opponent. And one that optimized just about every serious scoring chance it had. It shouldn't affect Rask as he heads to the postseason. But he will go down in history as the goalie that was in the net when Nikita Kucherov set an NHL record. And when Steven Stamkos set a personal best. News: Krejci scored a goal and added an assist in Saturday's 6-3 loss to the Lightning. Impact: It was a big game for the pivot, who tied his career mark in points (73) set a decade ago. And the goal was Krejci's 20th, a mark he has hit just four times in his career. Oh yeah -- it was also his third straight two-point game and fourth in his last five. Krejci is hot at just the right time, as the Bruins face the Maple Leafs in the first round next week. News: Pastrnak tallied two assists in a 6-3 loss to Tampa Bay on Saturday. Impact: Pastrnak finished the season on a three-game, four-point (two goals, two assists) streak and with 83 points in just 67 games. His 45 helpers tie his career mark. Pasta looks to carry that production into a first-round playoff matchup against the Maple Leafs. News: Moore (upper body) won't be available for Game 1 against the Maple Leafs as part of the conference quarterfinals, Conor Ryan of Boston Sports Journal reports. Impact: Boston summoned Jeremy Lauzon from AHL Providence -- at least for Saturday's regular-season finale against the Lightning -- as a reinforcement option with Moore, Brandon Carlo (rest) and Kevan Miller (lower body) out of action. News: Kuraly (undisclosed) resumed skating Saturday, Conor Ryan of MassLive.com reports. Impact: Kuraly won't be ready for Game 1 against Toronto, but he'll be considered day-to-day after that contest, so he's clearly trending in the right direction. Once healthy, the 26-year-old American will slot into a bottom-six role for the Bruins. News: Lauzon was called up from AHL Providence for Saturday's regular-season finale against the Lightning, Steve Conroy of the Boston Herald reports. Impact: Lauzon will be in action for the final game of the regular season since Brandon Carlo is resting up for the playoffs -- he'll also join allied defensemen Kevan Miller (lower body) and John Moore (upper body) in the press box. News: Blidh was called up from AHL Providence for Saturday's regular-season finale against the Lightning, Steve Conroy of the Boston Herald reports. Impact: Neither Brad Marchand nor Patrice Bergeron (among others) will play, as they're understandably being rested for the playoffs. That said, it does open up playing time for guys like Blidh, who hasn't played in an NHL game since last March. Impact: Carlo will take a breather with the playoffs on tap, finishing out his regular season with 10 points -- two goals and eight assists -- and a plus-22 rating over 72 contests. Although he's not an offensive juggernaut, his sound play defensively gave him some value in leagues that include rating as a stat. However, the majority of postseason contests don't take that into account, leaving Carlo largely off the fantasy radar. News: Wagner (lower body) will not dress again Saturday against the Lightning. Impact: Wagner will sit out his third game of the last four with the playoffs around the corner. It seems likely he will be ready to roll for the postseason, but more information on that front should arise as Game 1 approaches. Either way, Wagner shouldn't be overly popular in the majority of playoff pools given his 19 points through 76 games. News: Marchand (rest) will sit out again Saturday against the Lightning. Impact: Marchand should be back in action to open up the playoffs, but he will take a seat for a second straight game to close out the regular season with an even 100 points over 79 contests. Marcus Johansson will work in the top six again with Marchand taking a breather. News: Miller (lower body) won't be in the lineup for Saturday's game against Tampa Bay, Joe McDonald of The Athletic reports. Impact: Miller is expected to return to practice Monday, so he doesn't appear to be in any danger of missing Game 1 of Boston's first-round series against the Maple Leafs. Confirmation on his status for that contest should surface prior to puck drop. News: Krejci (rest) will rejoin the lineup for Saturday's game against the Lightning. Impact: Krejci will reenter the lineup after taking a night off Thursday for rest purposes, needing two points to tie a career-high mark set back in 2008-09. He will center the top line and is slated to be flanked by Jake DeBrusk and David Pastrnak in the regular-season finale. News: Chara (rest) will rejoin the action for Saturday's regular-season finale versus the Lightning. Impact: Chara sat out Thursday's contest for rest purposes, but he'll get back in for a tune-up game ahead of the playoffs. The veteran has tallied a career-low 14 points this season thanks to minimal time on the power play, so he'll be much less of a factor in playoff fantasy pools than he typically has been. News: Bergeron will skip Saturday's regular-season finale against the Lightning. Impact: Bergeron should rejoin the mix for Game 1 of the playoffs, but he will sit out the regular-season finale to rest up. As a result, the veteran closes out the 2018-19 campaign with a career-best 79 points and tied a career high with 32 goals. News: Rask will start in goal Saturday against the visiting Lightning. Impact: Facing the league's top offense in the Lightning seems like an ideal challenge in the way of testing Rask's readiness for the postseason. For the conference quarterfinals, the Bruins can expect tough sledding against a Leafs team that should be out for revenge after the B's knocked them off in Game 7 of that same playoff round last year. The first order of business is for Rask to prove that he can counter a potent attack from the Bolts. He's 27-12-5 with a 2.42 GAA and .915 save percentage over 45 games. News: After resting in the previous game, McAvoy will return to action against the Lightning on Saturday. Impact: Counting Saturday's clash, McAvoy will have only appeared in 54 games this season, as injuries really took a toll on him earlier in the year. He's still managed to put up seven goals, 20 assists and plus-15 rating for a robust two-way profile, but he drove fantasy owners through plenty of peaks and valleys to get to where he is today from a production standpoint. The B's will probably be expecting greater game-to-game consistency from McAvoy in the conference quarterfinals against the Leafs.